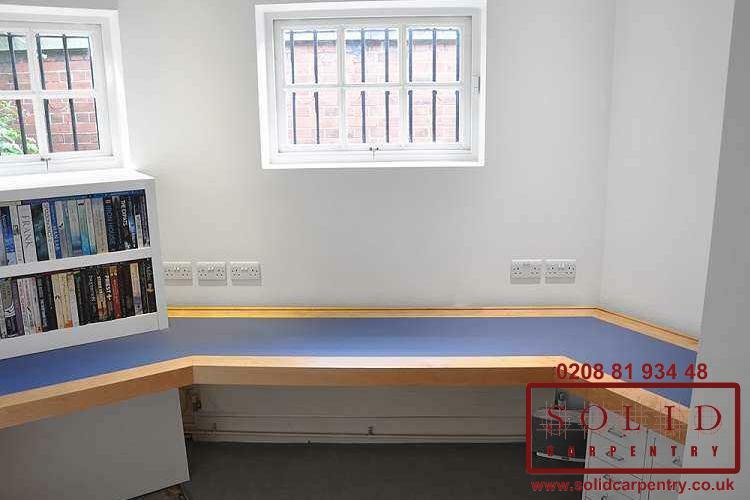 As you can see from the images at the left, to keep your living room looking neat and free of clutter there is no better storage solution than a custom made media storage unit. In each of the above examples, we worked closely with the customer to craft a stylish media unit to their exact specifications and suited to their lifestyle needs. 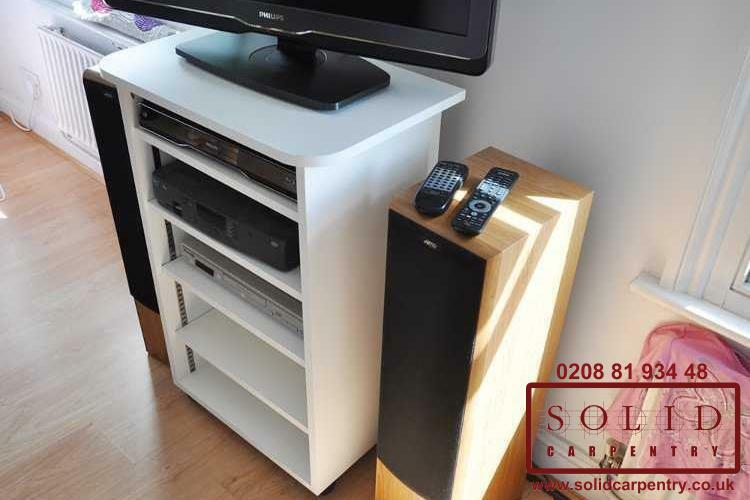 In today’s modern world, there is no doubt that fitted media units offer stylish solutions for presenting your home entertainment system while concealing messy cables and wires, gadgets, consoles, and much more. 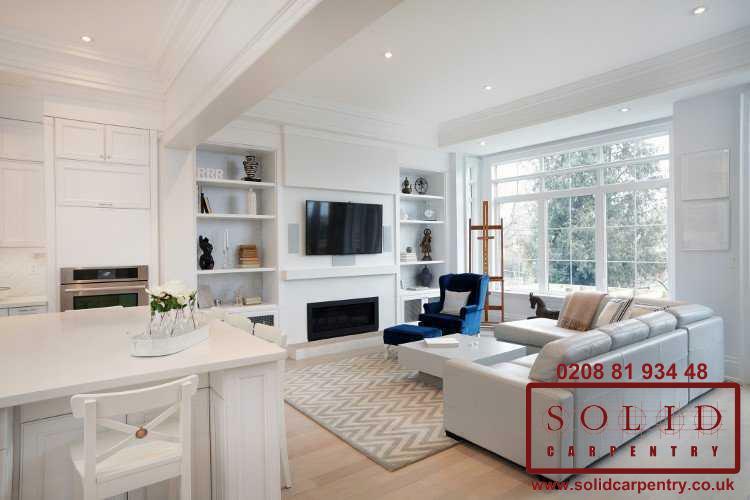 With more than 15 years’ experience producing bespoke carpentry solutions, we have the expertise to create a made-to-measure home media unit that complements your living room’s size and layout and accommodates your TV and audio-visual technology. As the portfolio photos at the left show, our team of highly skilled carpenters will take on your interior design vision and make it a reality. Whatever you hope to achieve with your personalised media storage unit, we can make it happen. 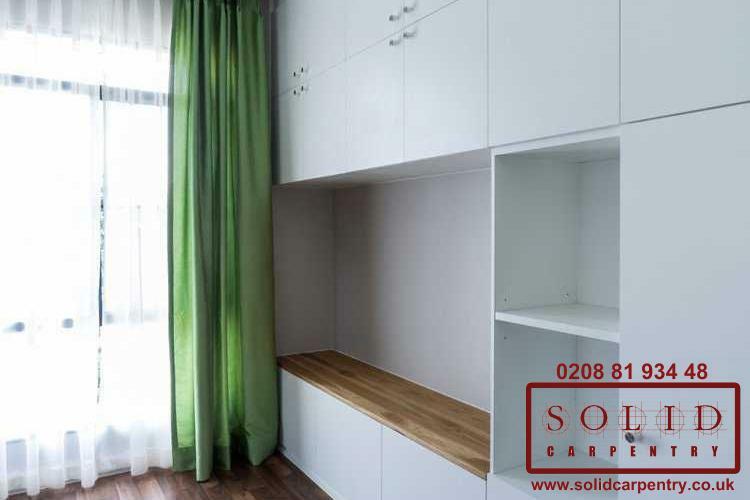 After all, when it comes to bespoke solutions, the possibilities are endless. Perhaps, like some of our customers, you just want to hide unsightly wires and create a stylish home for your TV, but did you know we can also incorporate integrated lighting, removable shelves, concealed storage cupboards, and much more? 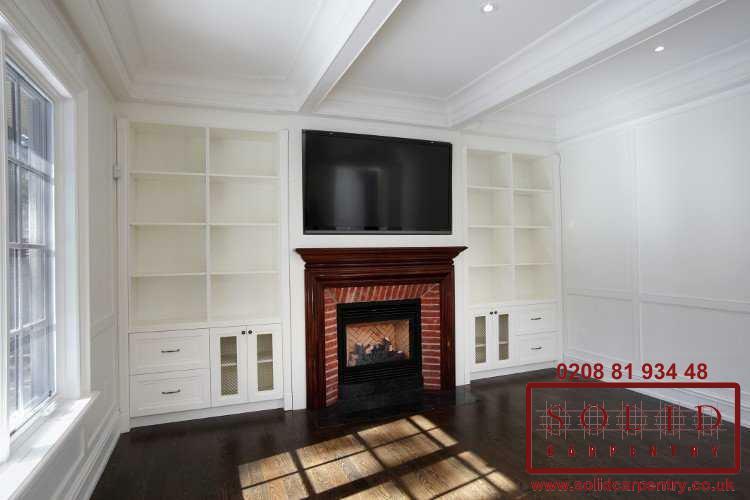 Our goal is to ensure we create the ideal storage solution for your home entertainment system and make it look spectacular in the space available, and the examples at the left demonstrate our dedication to this aim. 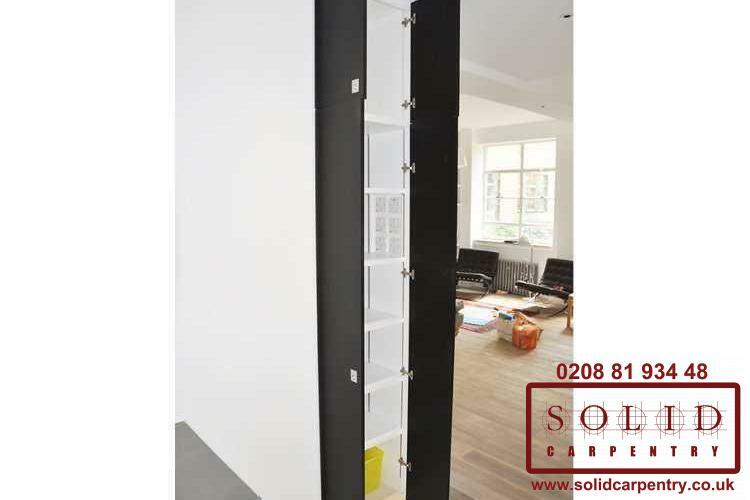 We have been designing and creating made-to-measure furniture in London and surrounding areas for more than a decade. As true masters of our craft, we have the expertise to create a stylish tv and media storage unit for your entire home entertainment system. 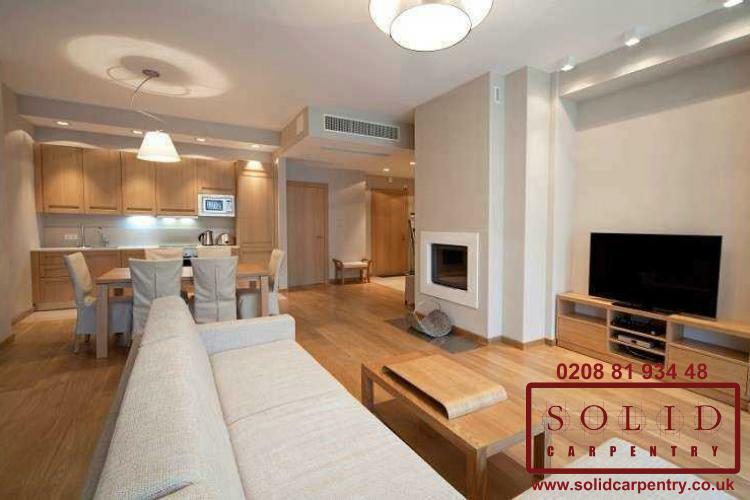 Contact us today or call 020 8819 3448 to get a free, no-obligation quote.